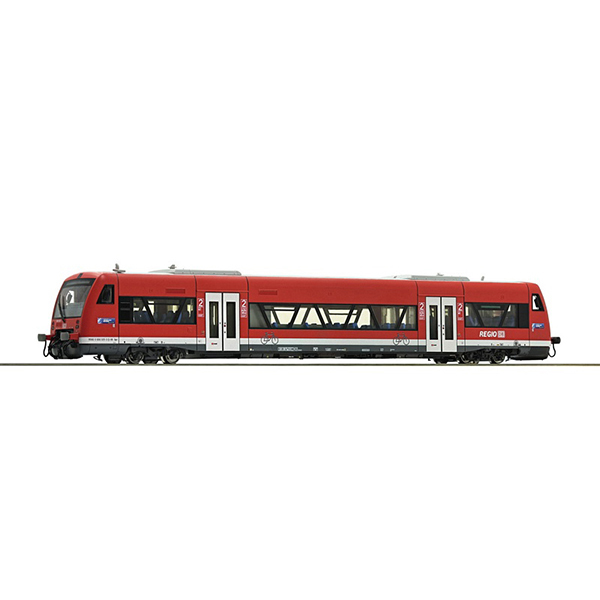 Model Description: Diesel railcar class 650 "Regio Shuttle" of the Deutsche Bahn AG. Epoch VI. Rich detailing on the model with interior design. Motor with mass flywheel. Drive on two axles. LED-lighting white/red changes with the direction of travel. Interface according to NEM 652 standards for the adaptation of a decoder.